Delhi, 24 January 2019: Zoya, the exquisite diamond boutique from the House of Tata, today officially reopened its flagship store in Delhi, amidst a glittering celebration, graced by connoisseurs of design from Delhi’s high society. Now located in the iconic South Extension neighbourhood, the new boutique of India’s homegrown luxury brand spreads luxuriously over 4600 square feet. Designed as a minimalist gallery of fine art, where each piece resonates with reflections of Zoya’s inspirations from its journey around the world, the boutique is home to Zoya’s rare masterpieces. In keeping with the brand’s unwavering focus on fine design and impeccable craftsmanship, celebrated designer Gauri Khan was guest of honour for the evening and joined CEO of Titan’s Jewellery Division, CK Venkatraman, and guests, in raising a toast to the boutique’s many treasures. 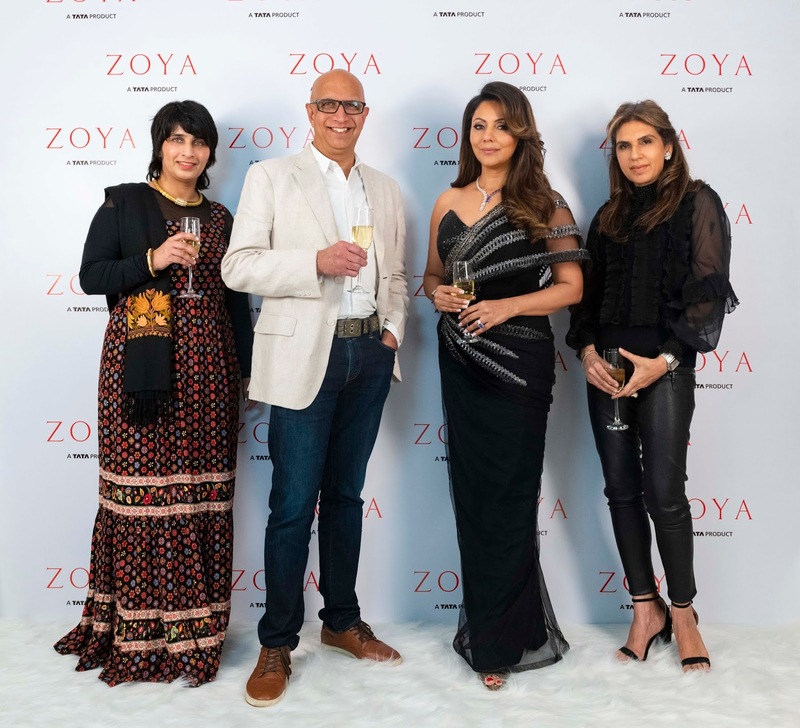 A splendid, two-part, fashion showcase by Zoya in collaboration with ace couturier Monisha Jaising showcased her elegant designs and a spectacular array of Zoya’s collections. Embellished gowns and cocktail dresses were paired with Zoya’s dramatic “6299 Hollywood Blvd.” a collection that draws design direction from the panache of three iconic Hollywood eras translating the undying glamour of film into an absolutely unique take on jewellery. Fusion lehengas and sarees in pleasing pastels highlighted the mood for Whispers from the Valley, a collection that captures the poetic beauty of Kashmiri seasons and picturesque icons of the land, from the gentle shikara to falling chinar leaves. Stark black and navy created dramatic flair for the presentation of ‘Musee Du Luxe’ - Museum of Luxury, a collection that looks towards the sublime architecture, rich culture and inherent joie de vivre of Paris, blending a modern style palette with vintage charisma while summery whites paired with Zoya’s Pezzo D’Arte,a versatile line of 37 pieces inspired by rich Italian history and style. As visionary as art, the collection uses geometry in design, to create an edgy fashion statement, imbued with a distinctly modern vibe.